Learn more about NFV, Edge Computing, Cloud Native, Hybrid Cloud and more! The pragmatic solution for the VNF cloud native transformation. Learn how make an informed decision about your organization’s VNF Manager needs, and how to adhere your VNF to cloud native best practices. Read how SD-WAN and vCPE together enable service providers to increase profitability. Read about how networking is becoming cool again and what the future of networking holds. Read more about how Cloudify, Kapsch CarrierCom, and Advantech, are using NFV and orchestrating network functions to be hosted on Intel architecture-based servers. Read more about the ONAP story, use cases, and rise to the top of the open networking automation industry. 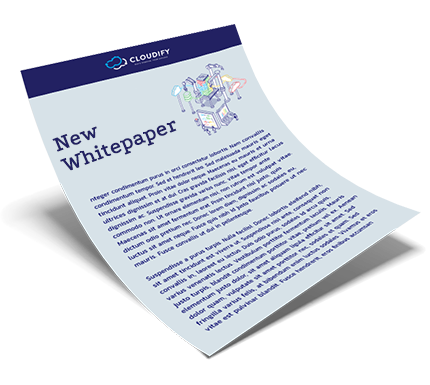 This whitepaper presents production-grade NFV use cases with Cloudify including vCPE, Edge Computing, and advanced VNF on-boarding. This whitepaper dives into the Road to Open NFV and ONAP as well as the open source disruption in the NFV space. See why Cloudify’s orchestration framework received a “Very Strong” overall rating as the top open source orchestrator. This paper introduces a new concept - integration-based orchestration for dynamic and agile open service creation and management. Learn how Cloudify delivers an open source, integration-based vCPE/SD-WAN engine. Learn how to make the leap from physical, to virtual, then Cloud Native VNFs and how Cloudify can help you get there quicker. 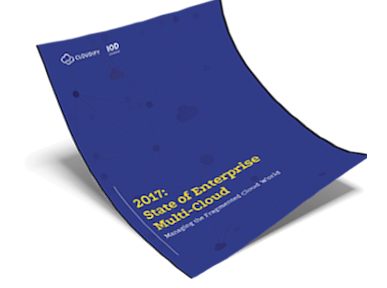 Cloudify in partnership with IOD Cloud Tech Research conducted a survey of nearly 700 IT professionals with some very interesting results. This whitepaper dives into all the buzz and jargon around NFV and clears up the confusion. This whitepaper discusses how NFV MANO is implemented and what is influencing it. Learn why transformation projects fail, how to avoid these mistakes, and get recipes for success in your organization's digital transformation. Read about the optimal strategy for the digital transformation process with Microsoft Azure, Azure Stack, and Multi-cloud technologies. Learn all about TOSCA modeling concepts as well as how it fits into the enterprise and NFV landscape. Automating application IT governance through orchestration to enable increased control without compromising on agility - read the whitepaper to find out how. Why Do I Need * If I'm Using Kubernetes? Kubernetes is awesome, but it's not going to replace your stack. Learn why an orchestration-first strategy is more important than any platform. Learn about the cloud management landscape and the differences in the diversity of jargon - PaaS vs. CMP vs. Orchestration. Download the whitepaper to learn more about how Atos and Cloudify collaborated to bring maximum benefit to enterprise customers. Exclusive Cloudify quick-start guide to moving workloads to Azure. A deep dive on the Cloudify technology, vision, and landscape.